Do the Dutch want a referendum about their membership of the European Union, following the British example? And if so, would they vote for a Netherlands' exit, a Nexit? It is unclear how many people would support a Nexit, but with anti-EU MP Geert Wilders' party leading the polls, these questions will feature in the election campaign the coming weeks. 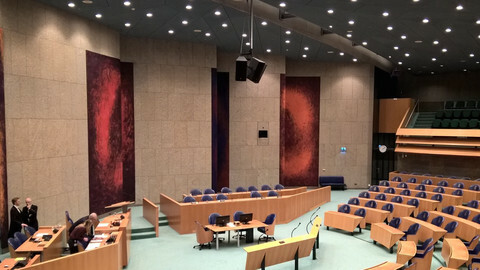 On 15 March, the Dutch will elect a new Lower House of the parliament. 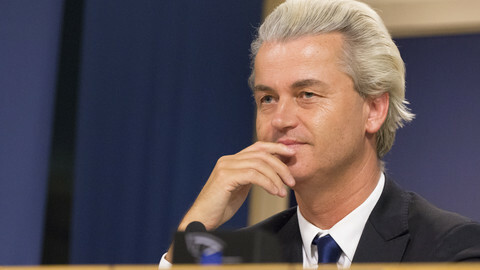 According to an average of the most recent polls, Wilders's anti-immigration Party for Freedom could receive between 25 and 31 seats of the total 150, making it the largest party in the house. To let the Dutch government be in charge of its borders again, Wilders wants a Nexit, but it is unclear how many people agree with him. Pollster Maurice de Hond told EUobserver his most recent survey on the matter was from July 2016, shortly after the UK voted to leave the EU. In that poll, 56 percent of respondents said they did not want a referendum about Dutch EU membership, up from 50 percent a month earlier. If a referendum would have been held, 40 percent said they would have voted to leave, while 52 percent said they would have voted to remain. 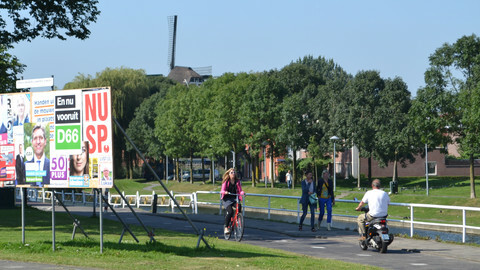 To get a feeling, EUobserver spoke to some Dutch citizens in the southern province of Limburg. They may not be representative – but then again average Dutch do not exist, as satirical website De Speld illustrated with a mock news article on Sunday. The average Dutch man “feels unwelcome in the Netherlands” because he has “1.7 children, but child benefits are rounded down”, De Speld joked. The idea of a Nexit has support from at least one unexpected corner. Close to the border with Belgium, in the quiet town Eijsden, EUobserver met 21-year-old Reda, a Moroccan-Dutch self-proclaimed drug dealer from Rotterdam. Reda was waiting near the town's train station and asked for a lighter, but also was open to an interview. "Ask me anything you want," he said, although he did not want to give his last name. "I just got out of jail in Belgium," he said. "Ten months, for seven grammes of cocaine." Reda said he was, and still is, dealing drugs for a living, because he “had no choice”. He said he had worked in supermarkets and on the market, but was never offered a long-term contract. “The EU is only for the big people who get bonuses,” he said, noting that it would be better if the Netherlands was “independent”. He said he wanted the guilder back, the Dutch currency before it joined the euro in 2002. Reda said war would not happen in his generation, referring to what is often hailed as one of the EU's successes, that European integration has made the continent far more peaceful. However, he said he would not vote on 15 March. That saves him the conundrum of whether to vote for Wilders, the Netherlands's most outspoken supporter of a Nexit, but also a far right politician who has promised that he would "make it happen" that the country's number of Moroccans would be “fewer". “He doesn't make me angry,” Reda said about Wilders, noting that he “just laughs” about his statements. “Wilders has nothing on me. I know I'm Dutch,” he added, showing his Dutch passport. Wilders' plan for the Netherlands' position in Europe is simple: out of the eurozone, out of the open-border Schengen zone, and out of the European Union. Self-employed Paul Postma, working in the financial sector, told EUobserver on Friday he estimated it was "realistic" that the Dutch would one day vote in a referendum on their EU membership. EUobserver had asked him about his views on the EU in the Dutch city of Maastricht, when Postma proposed to sit down with a coffee for a longer chat, which ended up lasting almost two hours. 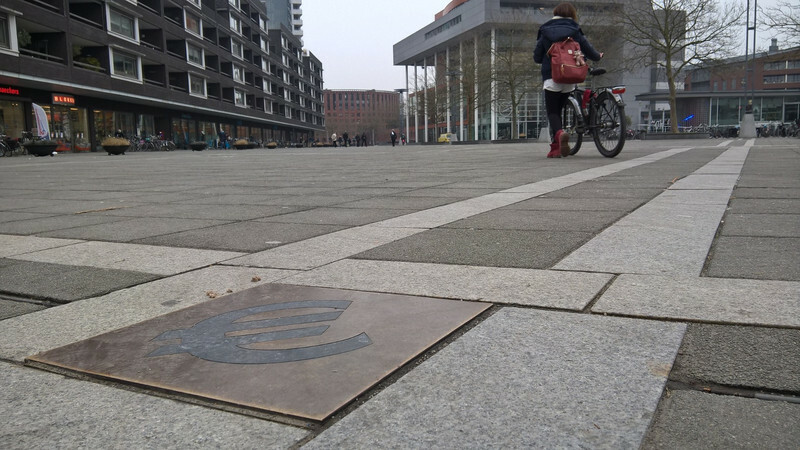 It was a pure coincidence that a conversation about the European Union with Postma took place in a cafe situated on Plein 1992, the square named after the year of the Maastricht treaty, which created the European Union and led to the euro currency. The treaty had its 25-year anniversary last week. Although the focus in public debate is now on migration and security, Postma, 35, still remembered the years of 2011 and 2012 when the eurozone plunged into an existential crisis. He was particularly struck by the "lack of knowledge" among the politicians involved. "The level of expertise should be much higher. Perhaps Brussels should be even more bureaucratic, or technocratic," he said. Postma, educated in physics and law, was annoyed by what he thought was a decline in quality of political debate. "The EU has given us a lot of good things, that is something you cannot deny with facts. It is an illusion to think that the problems we face would not have been there without the EU." He named migration as an example, and said desperate Africans and Syrians would also have attempted to cross the Mediterranean if there had been no EU. "Sure, the Netherlands then could have closed the border, but look at the chaos that happened after [US president] Trump's travel ban. Any sane person who makes a cost-benefit analysis would conclude that societal and economic costs do not outweigh the benefits," he said. He described the close regional integration of Maastricht with its neighbours: "I drive to Belgium and Germany all the time. 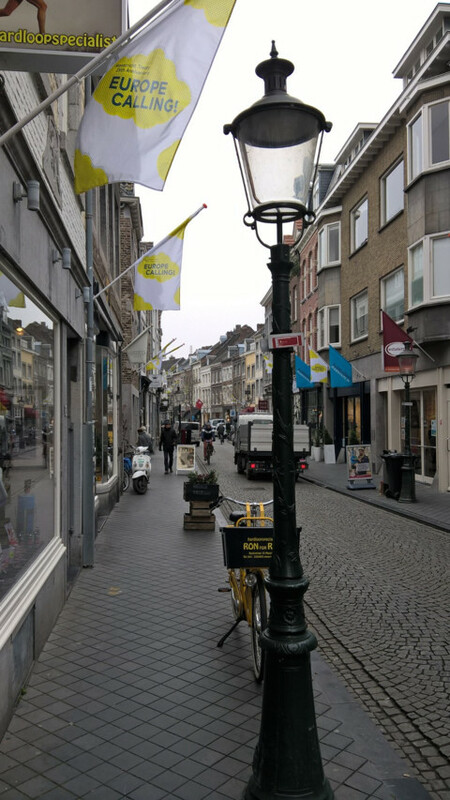 On Sundays there are more Belgians and Germans downtown than Dutch, because shops are closed that day in their countries. “Maastricht is more foreign than other Dutch cities. 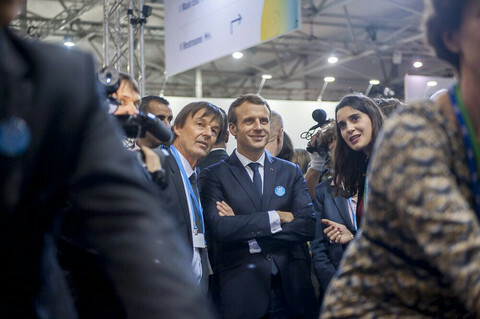 One feels very connected with the region, and that connection would also exist without the EU. The EU facilitates that connection." 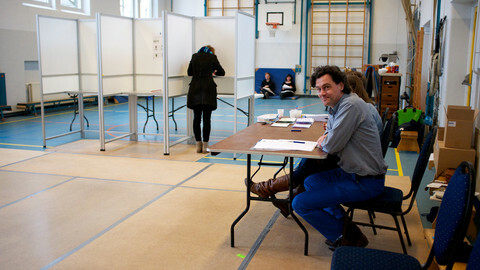 Postma is not an average voter, if such a thing even exists. He criticised European Commission chief Jean-Claude Juncker and his right-hand man Frans Timmermans for being too "fatalistic" on the EU's future. Most Dutch people probably do not even know Juncker. "The future of the EU as we know it, is really at stake here. We should be fighting for it," said Postma. He criticised former UK prime minister David Cameron for his years of "EU-bashing", but then expecting he could convince the British public to fall back in love with the EU within a few months. 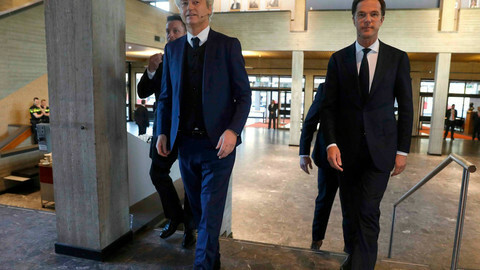 "The same goes for [Mark] Rutte," he said about the Dutch prime minister. "He is too negative about the EU and ridicules it with trivial cliches about the EU rules for the curvedness of bananas." Postma already made up his mind which party he will vote for on 15 March: The pro-European centrist Liberals of D66. Elsewhere in Maastricht, Jeannie van Cleef also defended the European Union. “We need the EU,” she said, but she also noted that the EU felt far away. Van Cleef said she would vote for PM Rutte, who before the weekend said he would fight a Nexit with everything he has got. Her reason to vote for him however was because Rutte “remained himself”. “But he doesn't carry out his promises,” her husband intervened. “No, but none of them do,” she concluded. Wilders' prediction that the Trump political spirit will jump the Atlantic will soon be put to the test in the Dutch elections. 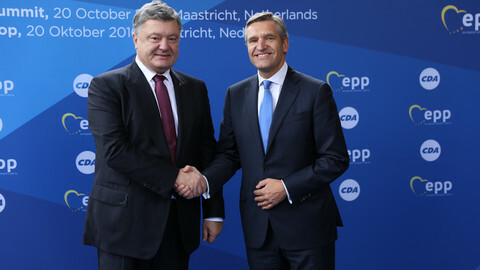 Buma, the Dutch face of the European People's Party, becoming increasingly critical of European integration.